Regardless of an organisation’s size and sector, health and safety training is an essential activity. Providing staff with greater expertise and knowledge is arguably more important for those involved in higher risk industries. As an employer, it is your responsibility to provide information, instruction and training wherever possible to ensure the workforce remains free from harm. More and more businesses, therefore, are looking at different training approaches, such as gamification. While some employers may consider workplace fun to be counterintuitive when culturing a safe environment, gamification combines the need for training with more interesting and engaging learning materials. When it comes to health and safety training, most organisations will formulate a plan that relates to the skills and knowledge needed to avoid accident and injury. This can involve looking at previous instances of workplace injury, near misses, or cases of ill health to learn lessons and gain greater insight into the risks that exist. By injecting some fun into training and providing the workforce with rewards, each and every employee will not only be more likely to take part in learning, but also complete the tasks in front of them. 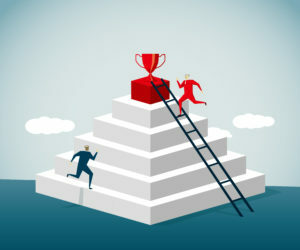 Gamification gives members of staff a challenge to complete, provides a framework on how to overcome it, and then offers instant gratification at the end. Members of staff can participate in training on a work computer or via their smartphone while at home. This allows the workforce to learn at a time and place that suits their preferences, but also means they don’t have to be sent away on lengthy training courses. Rather than sending employees on a training course whenever new industry regulations or health and safety legislation is introduced, gamification can be adapted and modified according to the content you want to teach. It can be an uphill struggle to grab the attention of employees when talking about the serious nature of health and safety, but gamification can make this subject a lot more interesting. An important part of gaming is competition, as players have an inherent desire and motivation to beat one another. Having looked at the effectiveness of gamification over the duration of a year, professor Traci Sitzmann from the University of Colorado in Denver found that skill-based knowledge levels increased by 14 per cent, factual-knowledge levels increased by 11 per cent, and retention of material learnt increased by nine per cent. Traditional training generally requires a test or examination after the teaching finishes to determine whether employees have learnt anything. With gamification, on the other hand, feedback can be provided instantly to increase learner engagement, recall and retention. Management can also gain access to performance tools such as activity metrics and knowledge retention rates. With health and safety or compliance training, it makes sense to create an investigation scenario. This narrative provides a fun framework for learning, but also calls on employees to practically apply information in a situation that could plausibly happen at work. The game could involve a central character who gradually gives more clues about what happened and a map of the workplace for employees to identify where accidents might have occurred. Another thing to remember is that gamification should be personalised to the learner’s preferences. As previously mentioned, some members of staff might appreciate training that feels like a video game, while others may not be as comfortable interacting with digital technologies. Try to personalise the gamification training experience by offering a wide variety of game styles. Health and safety training is not without its obstacles, and most high-risk industry organisations will have come up against one or more in the past. The main challenges relate to finding the time, incentivising employees, and ensuring information is sufficiently retained and correctly applied. Although you will need to find the right gamification approach and carefully consider your course content, there is no reason why playing at safety can’t be a good thing for your business.